Am back again to share and continue my interesting trip story in USS. 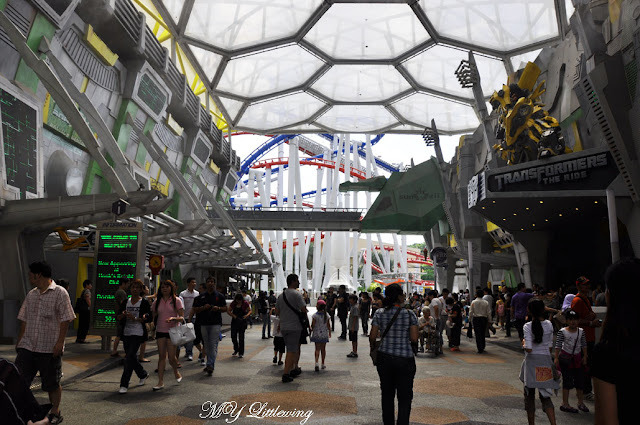 After Hollywood and New York City, now I will bring you to another attraction where you can experience the hyper-realistic 3D thrill ride, right in the middle of the incredible world of 'TRANSFORMERS'. 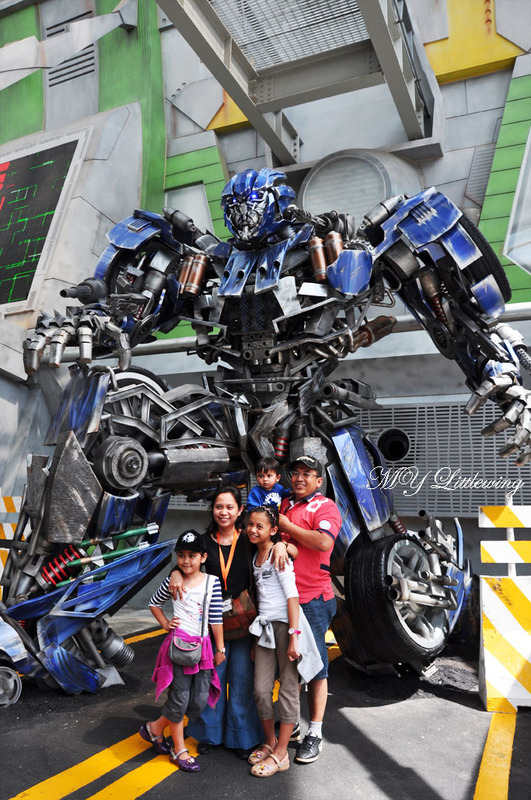 Join OPTIMUS PRIME and the AUTOBOTS as you become a freedom fighter in the ultimate 3D battle against the forces of evil. After the ride I headed to test my intergalactic stamina on this whirling twirling attraction. Getting into the spinning chair to accelerate ourselves. It is spins around, but not very fast it rocks back and forth, lulling you to sleep. 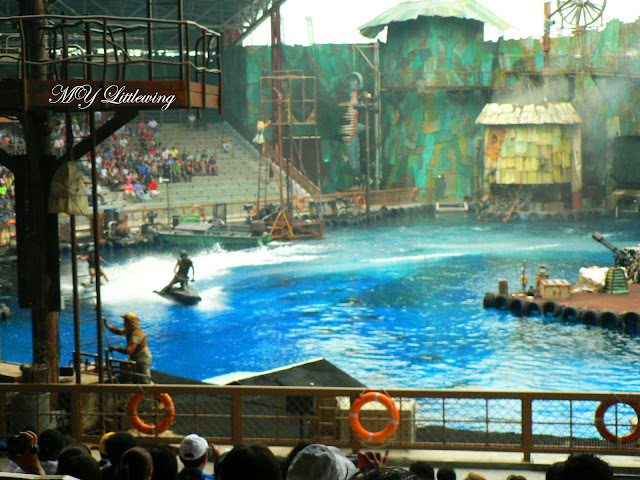 This is the most thrill and challenging part which is I missed the ride last year trip because that time not yet ready. 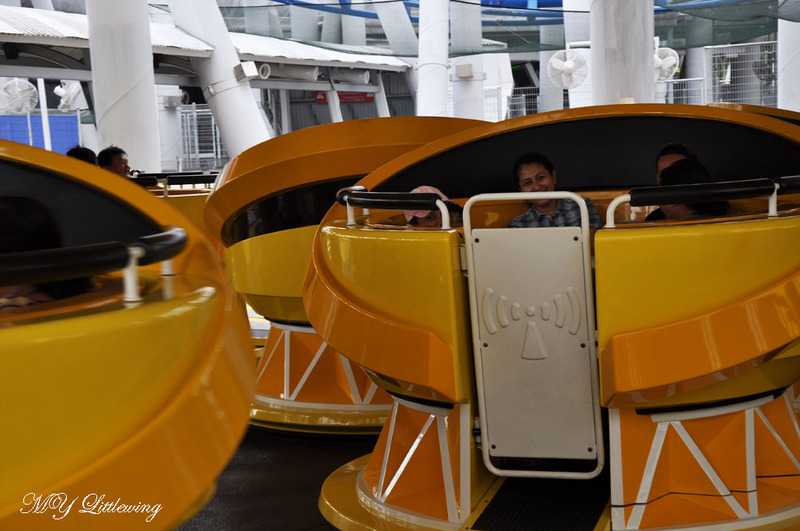 Zooming at speeds of 82.8km/h, this seated roller coaster narrowly avoids collisions as it twists, turns and propels you over 14 storeys into the air. This suspended roller coaster goes up, around and upside down with an intense corkscrew and a cobra roll. Sounded scary huh believed it or not I did it and managed to challenged and proved it to myself that I can do it with no fear....it is hard to explained the feeling when you up there you should try it yourself. 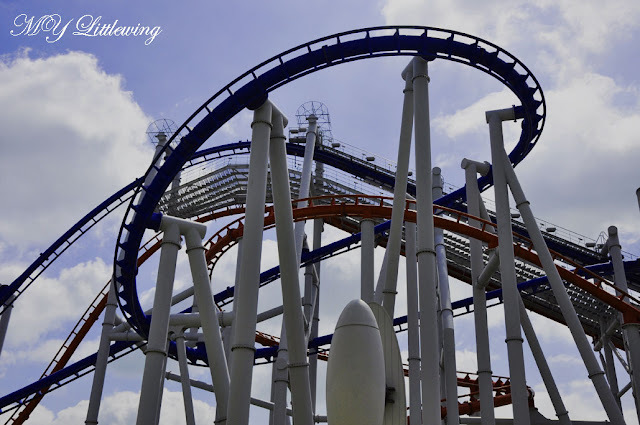 BATTLESTAR GALACTICA is a high-speed turbulent roller coaster that includes sudden and dramatic acceleration, climbing, lifting and dropping. 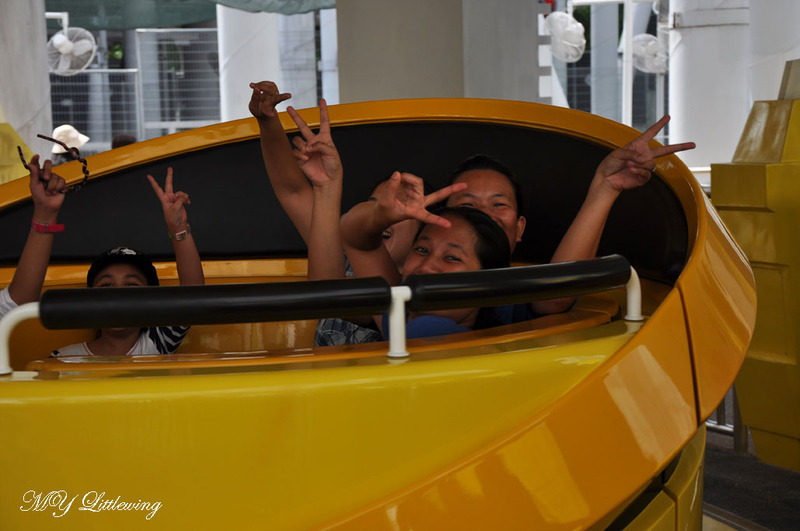 Guests should be in good physical health to experience this attraction. Loose articles are not permitted. 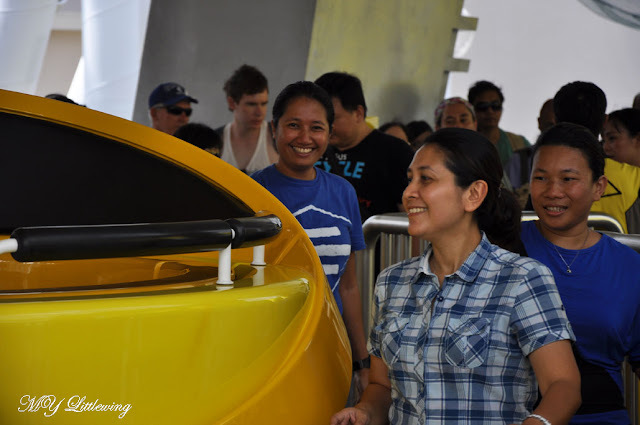 Free lockers are available during a visit to the ride. 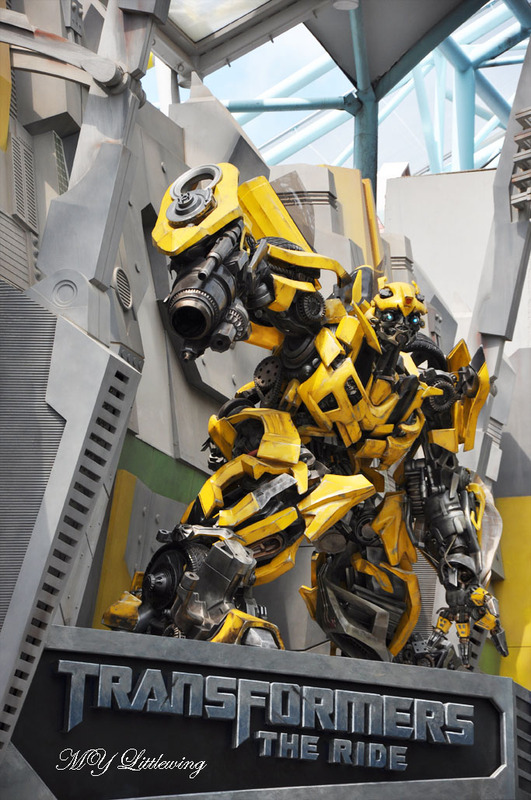 Bring home a piece of the future from galaxies beyond with souvenir merchandise from the hit television series, Battlestar Galactica or else stock up on the latest authentic TRANSFORMERS toys, unique collectibles and apparel. Fill your stomach at Starbot Cafe and dine in this futuristic restaurants serving a variety of Asian delights such as Chicken Yakitori and Black Olive Fried Rice with Poached Salmon. 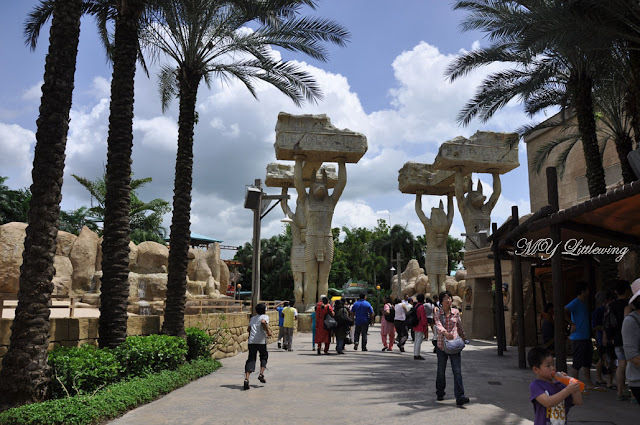 Attractions at Ancient Egypt, the revenge of the Mummy. 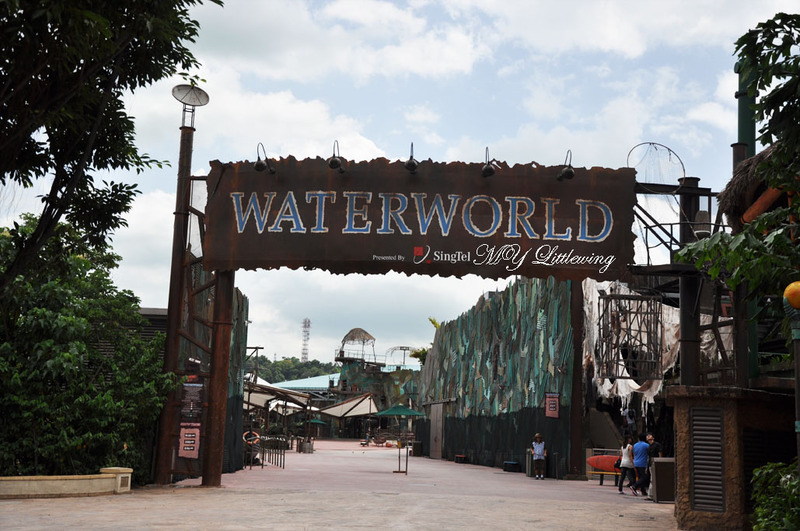 Plunge into total darkness on this in-door roller coaster as you come face to face with warrior mummies and scarab beetles. Treasure Hunters where children can drive their own desert jeep through an abandoned Egyptian excavation site. Don't forget to take home replicas of historical artefacts and fossils in ancient Egypt. Oasis Spice Cafe is an Egyptian-themed buffeteria serving up and array of Middle Eastern specialties. 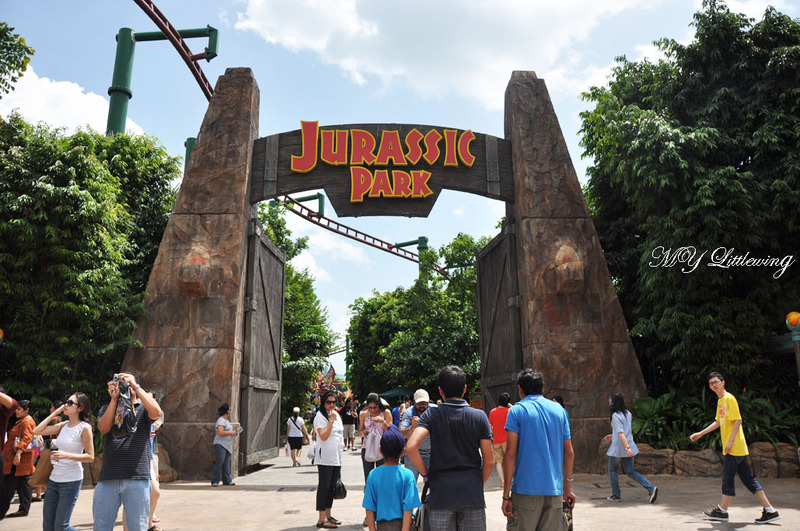 Here you can enjoy a prehistoric bird's-eye view as you soar over Jurassic Park. 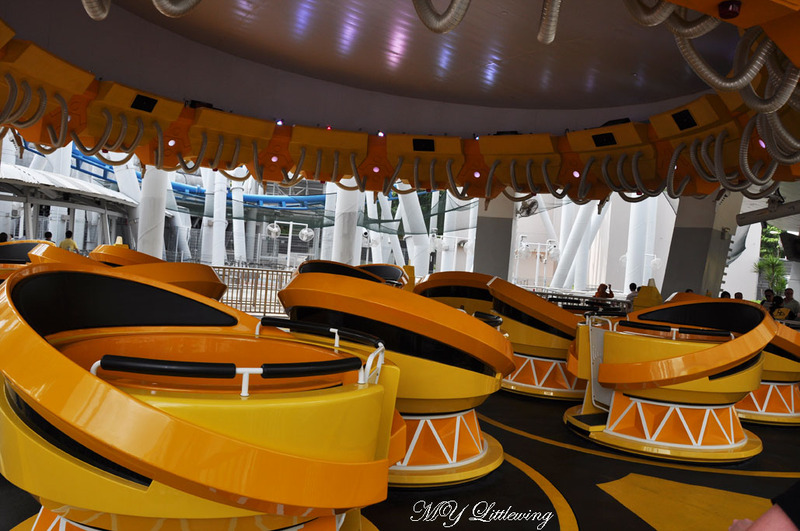 Children can pilot their own Pteranodon, soaring up into the clear blue sky or down into the cooling shadows @ Dino-Soarin. Amber Rock Climb (additional fee applies) where you can scale the walls of The Lost World to explore precious stones and fossilised insects. You can shop for key artefacts from Jurassic Park, along with themed hats, shirts and more. 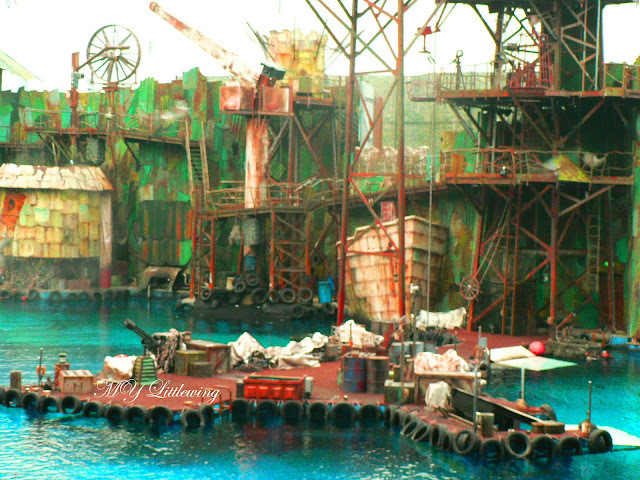 Discovery Food Court features Singapore's "must try" favourite local dishes, desserts and drinks in a Jurassic setting. Recharge and enjoy quick bites tasty hot dogs, gourmet sausages or a refreshing frozen drink at Fossil Fuels ! Prepare to be amazed by death-defying feats, awesome explosions and an ocean of thrills as giant fireballs explode in the air and a seaplane swoops towards you, skidding across the water to crash explosively just inches away in a finale that will leave your breathless !! 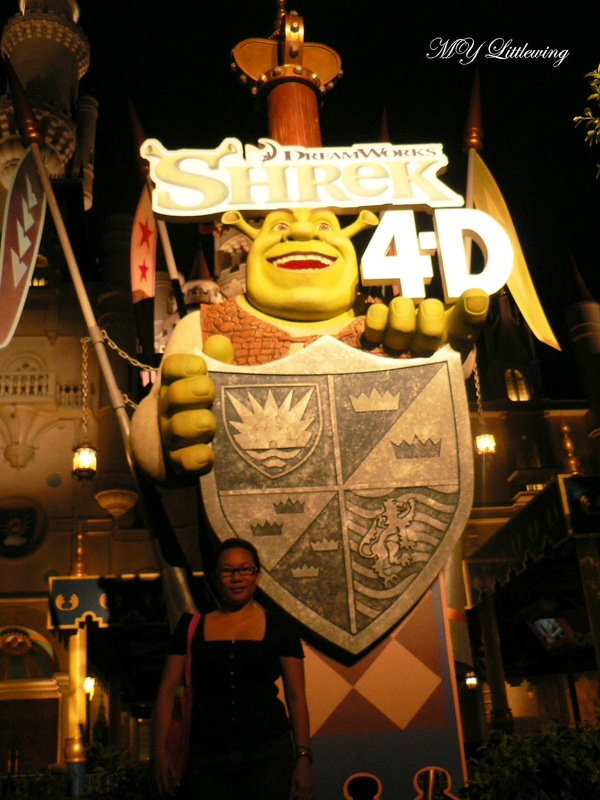 See, hear and FEEL the action right from your seat as you join Princess Fiona and Shrek in a fairytale adventure. Sing along with Shrek's sidekick Donkey as he hosts this interactive 'live' show. 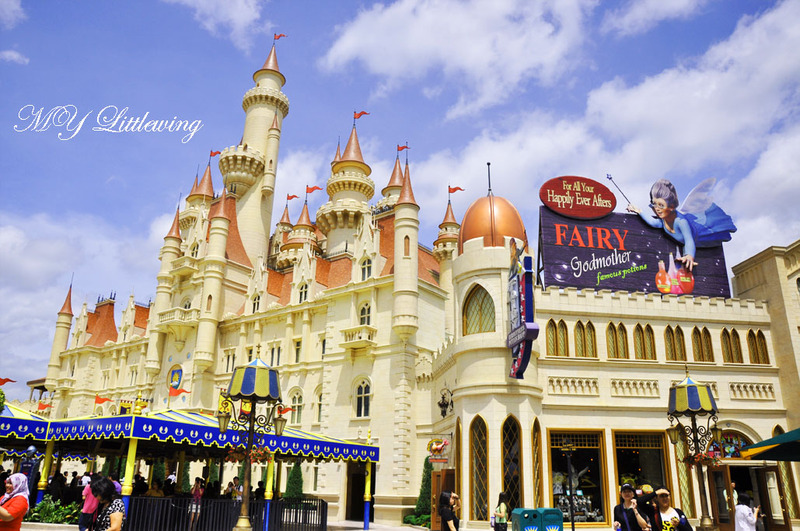 A fantastic ferris wheel for children in Fairy Godmother's Potion Shop plus exciting toys, games and merchandise all from the world of Shrek. At Goldilocks restaurant you can enjoy a bucket of homemade special recipe 7-spice "chicken done just right". Join Alex, Marty, Melman and Gloria, the four heroes from Dream Works Animation's blockbuster movie Madagascar, as they embark on an unforgettable river ride adventure in Madagascar. 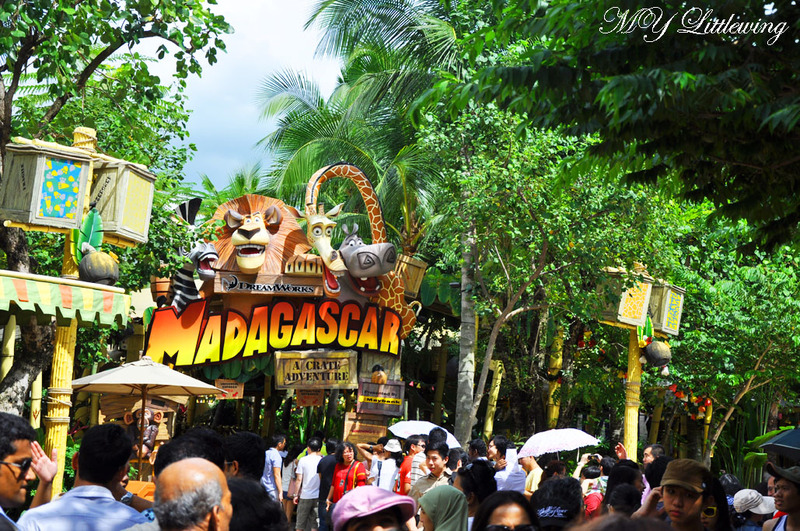 No to forget ride the crazy carousel with King Julien, the Lemurs and more of your favourite Madagascar characters. Stop by at Marty's Casa Del Wild restaurant to try a variety of Southeast Asian favourites such as their mouth-watering satay, Tom Yum Gai, tender-juicy roasted chicken, vegetarian specials and more. In Gloria's Snack Shack, you can feast on a selection of yummy Japanese delights including Vegetarian Tempura, Yakitori and Bento Box Meals suitable for children. 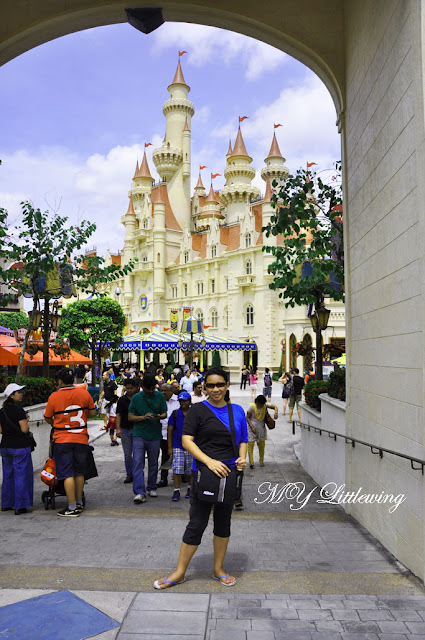 Alright guys, I done about the highlights of 7 attractions @ Universal Studios Singapore. I hope with this info will help you a bit especially for those people planning to visit USS in the near future. Nevertheless I still have more story to share during my trip in Singapore. 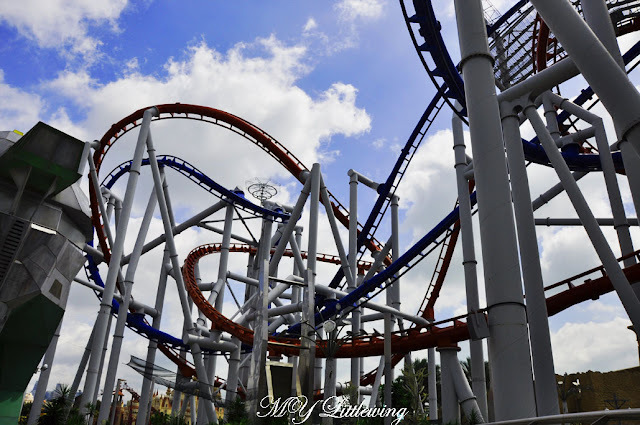 The next post I will write about another attractions around USS and Singapore as well. Till then have a good day ahead. 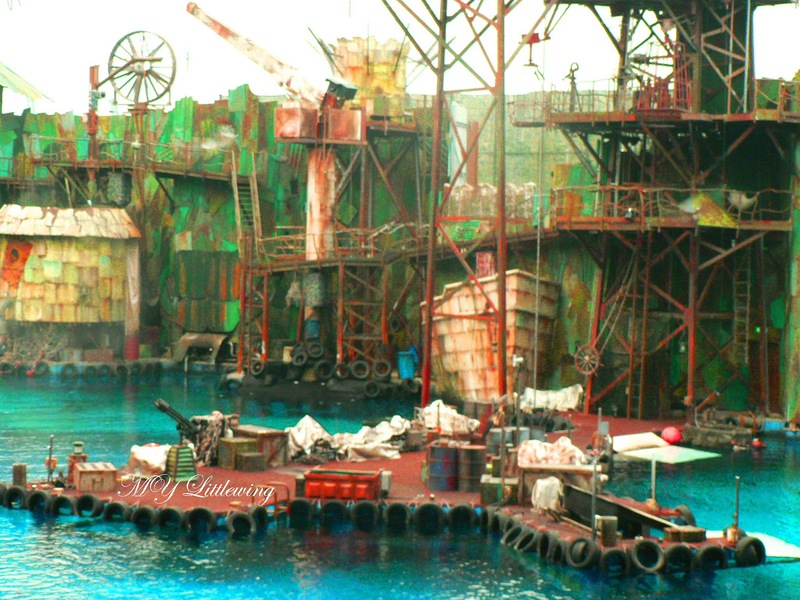 I love to visit these type of theme park.. Thanks for sharing. There seem to be some additional themes since our last visit in 2010. Would be a good reason to come back visiting. No problem it is my pleasure to sharing with my readers. Ya this year USS added Transformers and Roller Coaster to attract more visitors. You should re-visit. Hi Tina! 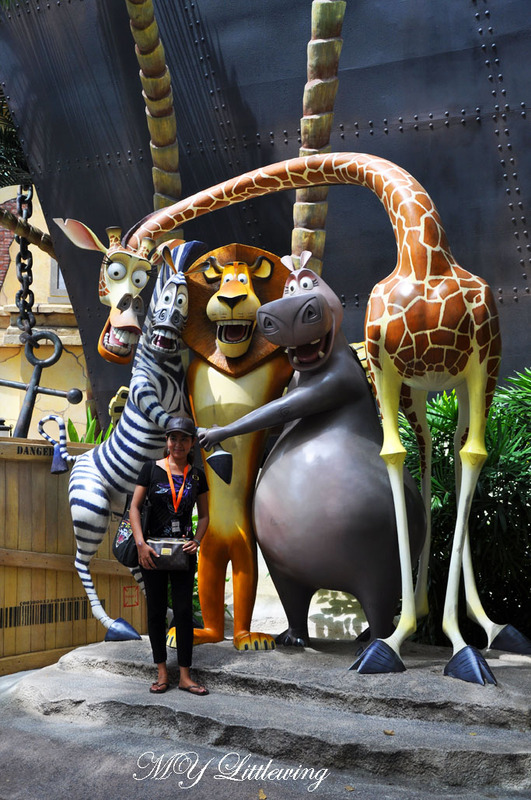 Looking at your photo, makes me wanna make second trip to USS again. 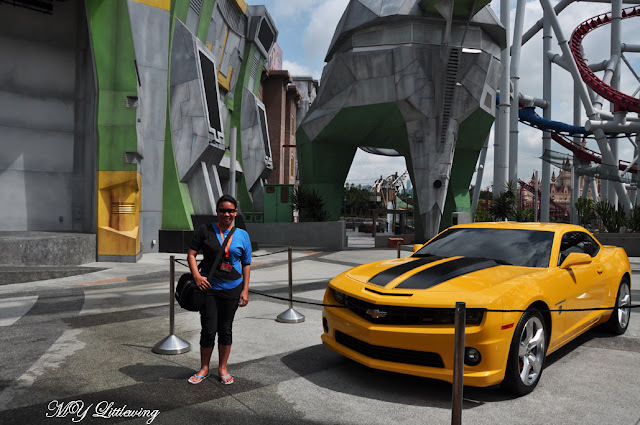 I missed out the Transformer ride by the way. That transformer is really huge but such a joy to see in person. The roller coaster ride seems really scary to me and congrats for the guts of trying it out. What a wonderful and great experience it must have been and the place looks so fantastic as I can see from all the pics you have attached. Before I decided to ride the roller coaster I also have the same feelings....SCARED I will fall down.....but after that I challenged myself nothing to afraid about it just do it and yes I did it. Frankly it is absolutely fantastic and wonderful experienced plus surrounded by wonderful friends. You made me wanted to buy tix to go Sg again! !